The electoral history of Papua New Guinea since the 1970s has been made available online for use by the public and researchers. 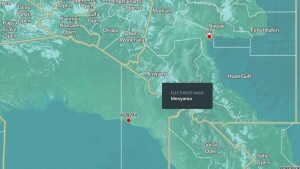 The Papua New Guinea Electoral Results Database, launched today (eds. 16 March), is a comprehensive source of information on the nation’s elections. It maps the country’s 111 provincial and open constituencies and provides information on voting patterns over the last four decades. Working closely with the Papua New Guinea Electoral Commission, the Australian National University Development Policy Centre has produced the database, which presents election information in a way that is easy to understand. The database is now available and free for all to use through the Development Policy Centre website. 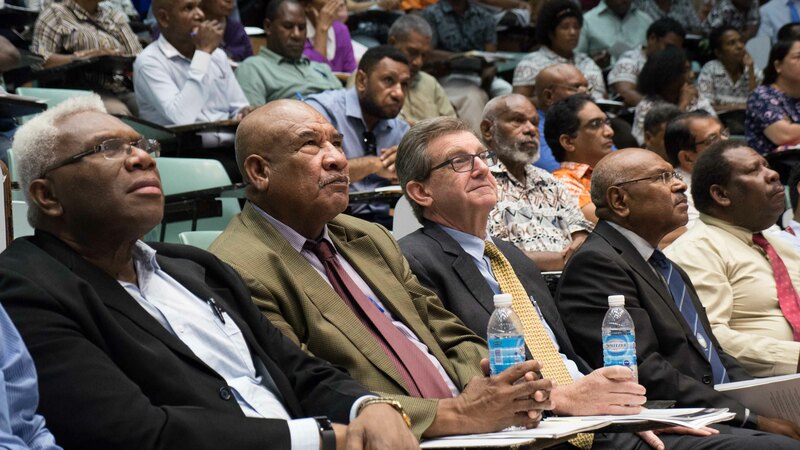 The creation of the database has been supported by the Pacific Leadership and Governance Precinct, a joint initiative of the Governments of Papua New Guinea and Australia to develop capable and ethical leaders. 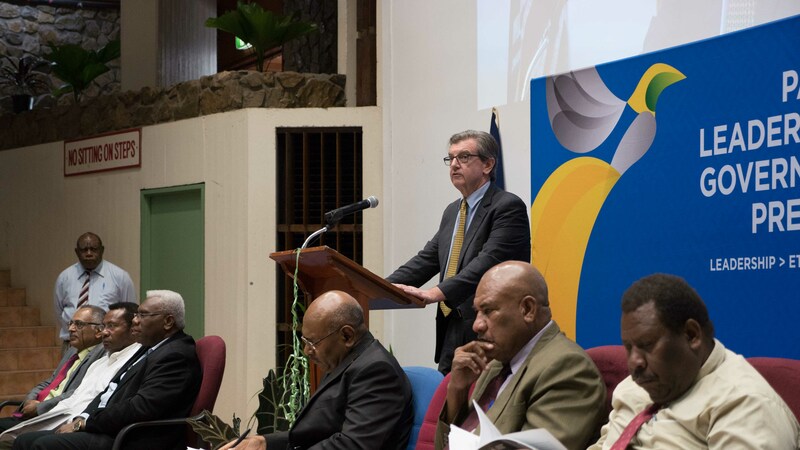 Australian High Commissioner to PNG, Bruce Davis, said the PNG Electoral Results Database would inform the development of high-quality policy and reform. “Strong and effective policy always has its foundations in a good evidence-base,” Mr Davis said. 1. Those in attendance at the launch received a free lesson on how to use the database. 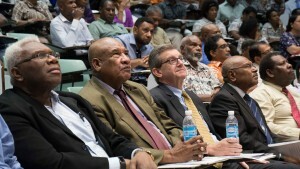 From left to right: Department of Higher Education, Research, Science and Technology Secretary, Professor David Kavanamur; Department of Personnel Management Secretary, Mr John Kali; the Australian High Commissioner to PNG, HE Bruce Davis; and University of Papua New Guinea Vice Chancellor, Professor Albert Mellam. 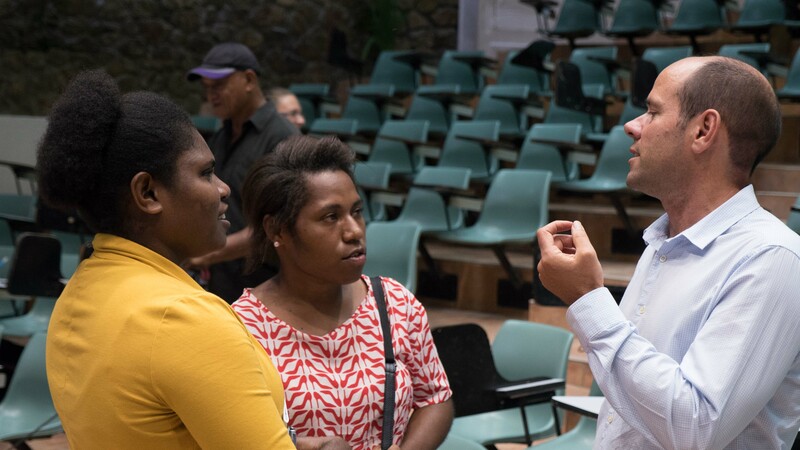 Dr Terence Wood (right) speaks to Ms Annie Pake (centre) and Ms Stephanie Kamuliagen (left) – third year students at the UPNG School of Business and Public Policy. 3. The Australian High Commissioner to PNG, HE Bruce Davis, launched the database at UPNG. 4. 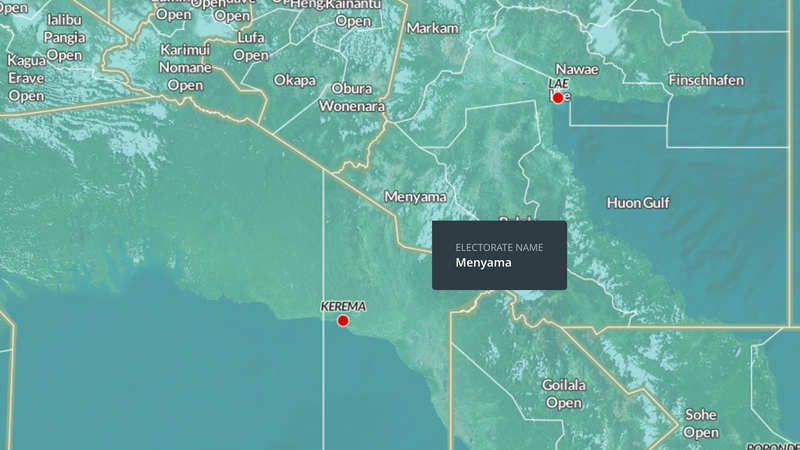 The electoral results database includes an interactive map to illustrate PNG’s 111 constituencies.